Home Tags Articles tagged with "Desert Wind Middle School"
Blended Learning students from Maricopa Wells and Desert Wind middle schools participated in the annual Middle School Rocket Challenge on Wednesday at Copper Sky Regional Park. They tested their rockets in altitude and cargo security, putting an egg aboard. During the flag raising ceremony at the Maricopa Veteran’s Center on Monday (Memorial Day), the Desert Wind Middle School Blended Learning Memorial created by Shannon Hull’s eighth-grade social studies class was dedicated. 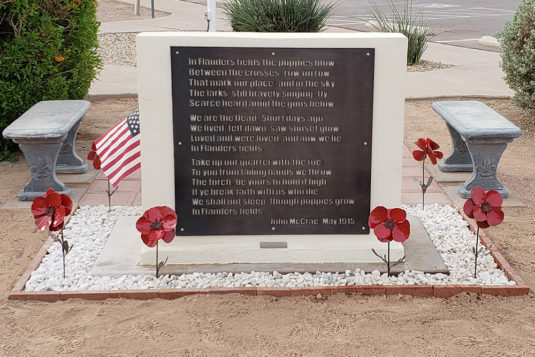 Hull’s class began the process of designing this memorial after an October visit from Veterans of Foreign Wars (VFW) member Clarence “Golde” Golden. Golden said he had a project for the students, to take an existing wall and create something for the Veteran’s Center. In a few weeks, each student had designed a memorial. The chosen design came from eighth grade student Kimberly Mask. Kimberly envisioned the poem “In Flanders Fields” written on the wall surrounded by red poppies and framed on the ground in brick. Hull started a GoFundMe.com page to raise money to create Kim’s vision. A total of $730.40 was raised and utilized on this lasting memorial for the Maricopa community. The project finally came to fruition on Memorial Day when the memorial was presented by Mike Kemery of the VFW to the crowd at the flag-raising at the Maricopa Veteran’s Center. Kimberly is an honors student, an avid artist and an asset to our city and our schools. She will begin her studies at Maricopa High School this fall, being accepted into the AP Art class, which is a rarity among freshmen. 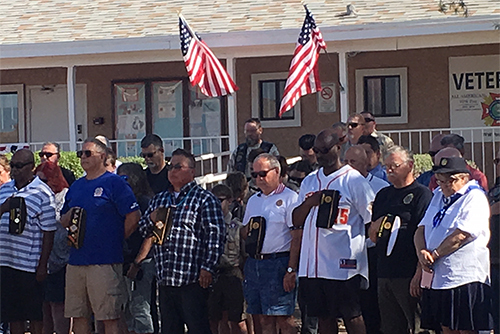 Hull’s class has a long-standing relationship with members of the VFW — they regularly come in to speak with Desert Wind Blended Learning students throughout the year, and the class just recently had a clean-up and landscaping day at the Veteran’s Center. The Desert Wind Middle School Blended Learning students’ next goal for the Center is to bring in gravel and a few new trees to help further beautify the grounds of the Veteran’s Center. 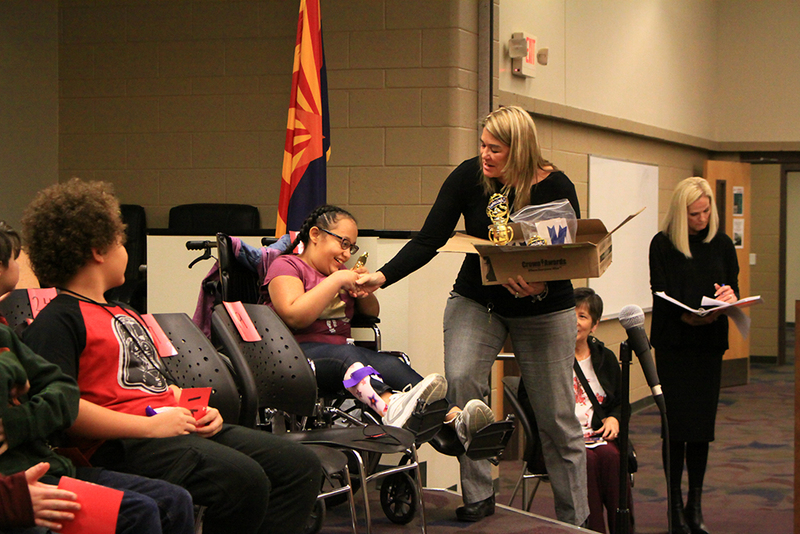 Although school has ended for most, principals and staff are still on campus over the summer preparing for the 470 additional sixth grade students at Maricopa Unified School District middle schools. The move comes after the voter-approved override allowed the district to hire more teachers. 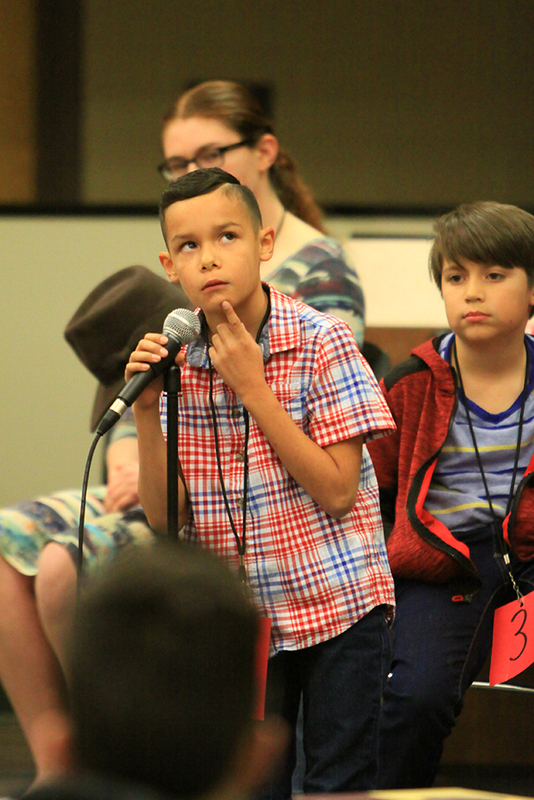 That includes teachers across all six of MUSD’s elementary schools, which have housed sixth-grade students for the past four years. With increased need for additional space in elementary, MUSD approved the move in January. Maricopa Wells Middle School Principal Rick Abel said 270 new students will take their seats in classrooms in the original sixth-grade wing of the school when classes start in August. In 2013, the sixth graders were in the middle school but were shifted to elementary schools. “They had talked about possibly closing a middle school, so they moved the sixth graders back. 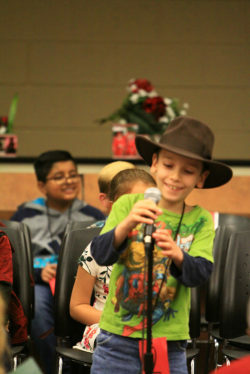 There was room in the elementary schools at that point in time,” Abel said. Both MUSD middle schools remained opened, however, and as enrollment numbers grow, principals say they are ready to welcome sixth graders back to campus. 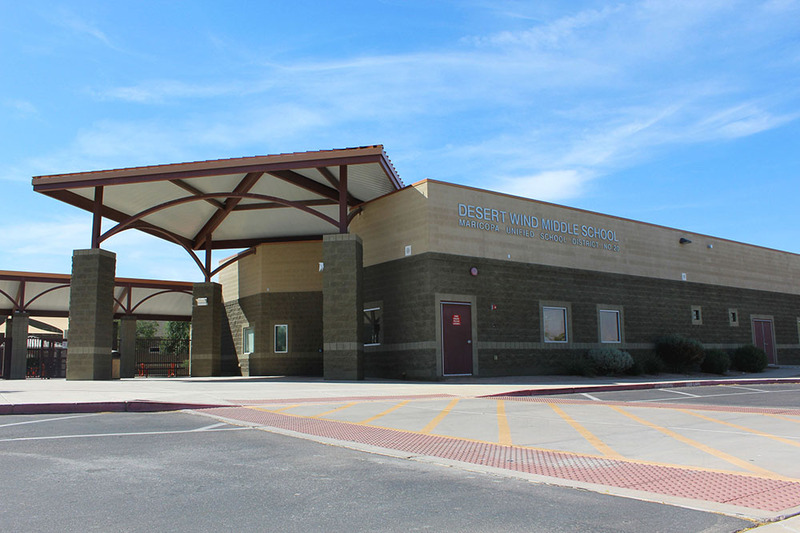 June Celaya, principal of Desert Wind Middle School, said she has also been working to ensure the transition from elementary to secondary is easier on staff and the 200 incoming sixth graders. 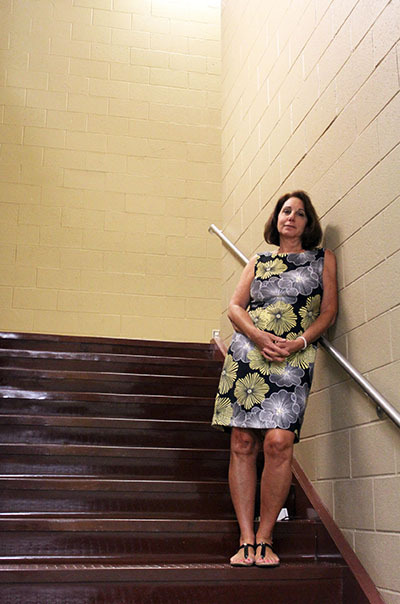 “I’ve rearranged the entire school and how teachers are in classrooms,” Celaya said. Sixth and seventh grade students will be housed in the school’s second story; eighth graders will fill the classrooms downstairs. 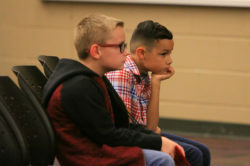 Although the younger students will sometimes travel to the first floor to attend their elective classes, Celaya explained the separation will allow for the transition into the middle-school environment to be slow. Sixth graders will attend five classes a day, mostly upstairs with their cohort of friends and teachers. Celaya said that although parents might fear the change from elementary to middle, it gives the students an opportunity to grow. “Throughout the rest of the year they find their way, and they find their voice, and they start to define who and what they want to be,” she said. Sixth-grade teachers will also “adopt” their first period-classes and become mentors for those students, Celaya said. 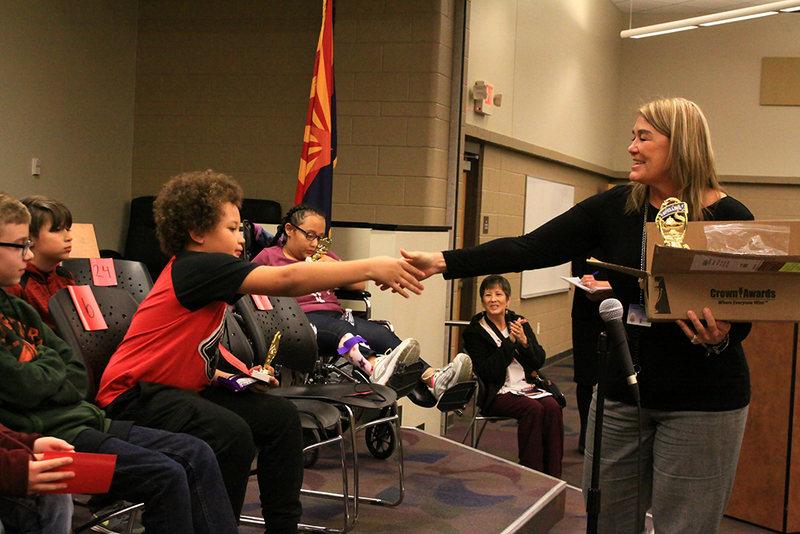 Maricopa Wells sixth graders can expect four classroom options, Abel explained. “We will have a group of four teachers working with probably 100 to 115 kids and those four teachers will each teach one of the four core classes. That gives the kids a chance to move from teacher-to-teacher,” Abel said. “We had a number of parents who were interested in the traditional classroom which is one teacher teaching all of the core classes,” Abel said. Classroom sizes are expected to range from 25 to 28 kids per class at Maricopa Wells, Abel said. Both schools are adding nine teachers each – many of whom worked at district elementary schools. “They are experienced teachers and they know how our system works, so that will make the transition a little easier, I hope,” Abel said. 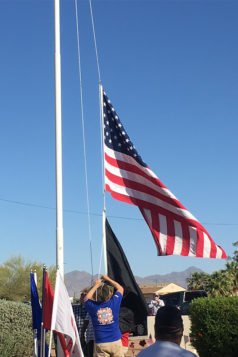 Four gentlemen from the Maricopa chapter of the VFW Post 12043 visited Desert Wind Middle School in Shannon Hull’s and Jennifer Szoltysik’s classrooms on May 10. Army veteran Mike Kemery, Navy veteran Clarence ‘Golde’ Golden, Navy vet Charlie Kemp and Army vet Richard Hall spent two hours with the students telling about their time serving during the Vietnam War, their personal stories, a bit of history and how they are doing today. The students asked a lot of questions, mostly concerning their personal lives and how they were treated in Vietnam as well as when they got home. The eighth-grade students have had other visitors sharing their experiences with war. Air Force vet Steve Hull talked about his time serving during the Cold War, guarding the Titan Missile and the SR-71. This is the third year members of the Maricopa VFW have visited Hull’s classroom, and the students are invested in these men, asking about them throughout the school year wondering when they will come back for another talk. After a student at Desert Wind Middle School told his parents about a threat against the school, Maricopa Police Department was informed and notified the school’s administration. That automatically put the campus into a teaching lockdown at 9:15 a.m.
MPD spokesman Ricardo Alvarado said no basis for the story was found, and the person named as the instigator of the threat did not exist at the school. 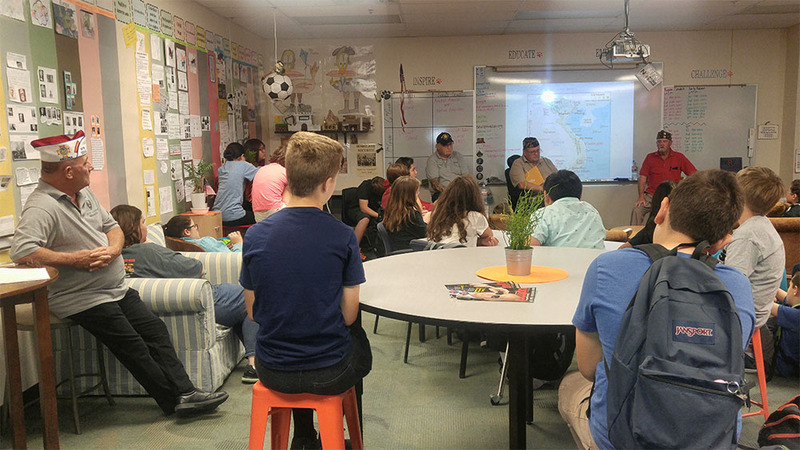 May 5, two local Vietnam veterans took time out of their day to visit the Desert Wind Blended Learning class to discuss their time serving in the military and in the Vietnam War. 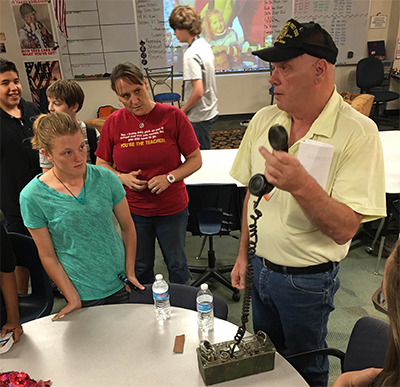 Clarence “Golde” Golden and Dennis Summerfield, both of Maricopa, spent two hours talking to the 71 students in DWMS Blended Learning about the war, about their experiences, and what their jobs were in the war. The students were a captive audience as they spoke of what they encountered, who they met while in Vietnam, their jobs, and how they felt about the war. “I feel like I got a better idea of the Vietnam War listening to their stories,” said eighth grader Parker H.
“It was interesting knowing how they lived and what they did each day in Vietnam,” explained Matt W.
Students learned about Golde running the rivers in South Vietnam on a 72-foot assault craft with 10,000 gallons of jet fuel, how he slept on a cot with a 2-inch thick mattress and once woke up to a rat nestled up on his chest. Students also learned about Dennis’ time in the Navy on a ship in the Gulf of Tonkin in North Vietnam as an electrician supporting ground troops and detonating floating mines while sometimes out at sea for 30 days at a time. This was the second time that Golde came and spoke with the class, and this was the first time that Dennis had visited. 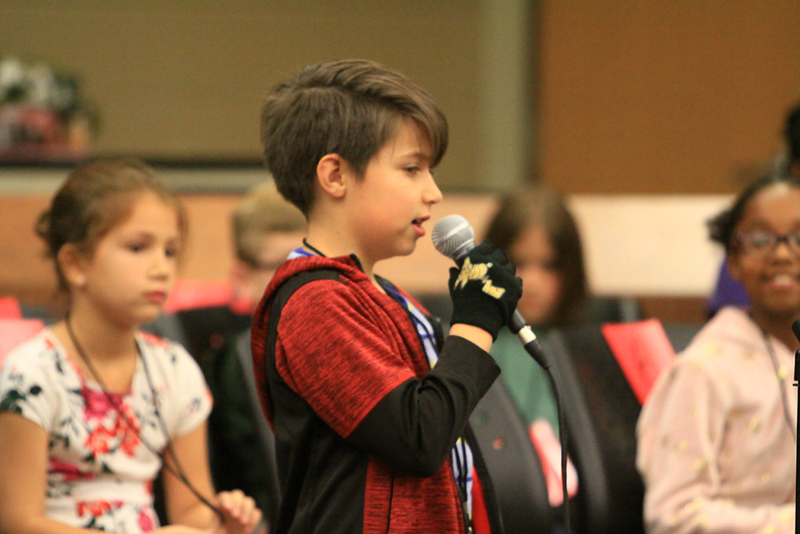 During the questioning time of the visit, students were mostly concerned about how they felt during the war, what their day was like, what food did they eat, what they missed the most. But the most common questions were about how these men were treated when they got back from Vietnam. Golde said, “I’ve gotten more respect from you kids, your parents and the city of Maricopa than I’ve ever gotten anywhere in the U.S.” after telling stories of the disrespect and insults he received when he got back from Vietnam. “I appreciate the brave souls that you are, and I thank you for speaking with us today. 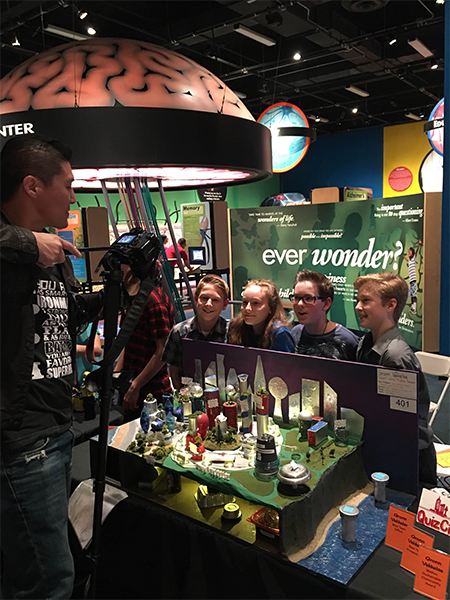 I now have a better understanding of the world we live in,” said eighth grade student Savannah S.
On Feb. 15, students from Desert Wind Middle School (DWMS) were invited to show off their award-winning “Future Cities” projects at the Arizona Science Center and Desert Botanical Gardens. These presentations are part of the Sustainability Solutions Festival that is happening statewide throughout the month of February. The two teams, Gronn Vekkelse and Novos Comecos, won two of the five Walton Sustainable Community Awards at the Arizona Regional Future Cities Competition in January. 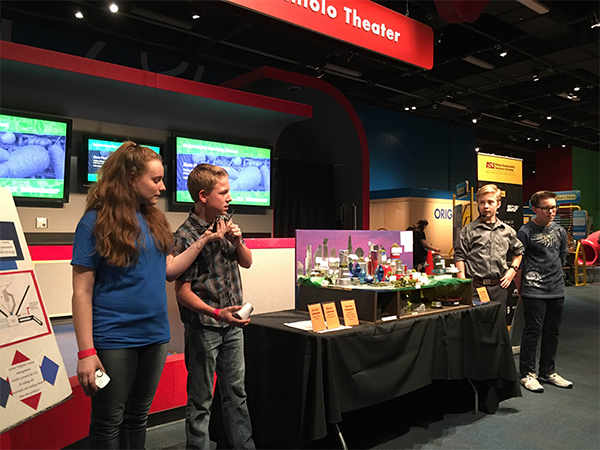 As highlight to their day at the Arizona Science Center DWMS students presented to professors from the Arizona State University’s College of Sustainability as well as hundreds of curious kids and parents. For more information about Desert Wind Middle School, the District’s 20+1 Program or the Maricopa Unified School District visit www.maricopausd.org. 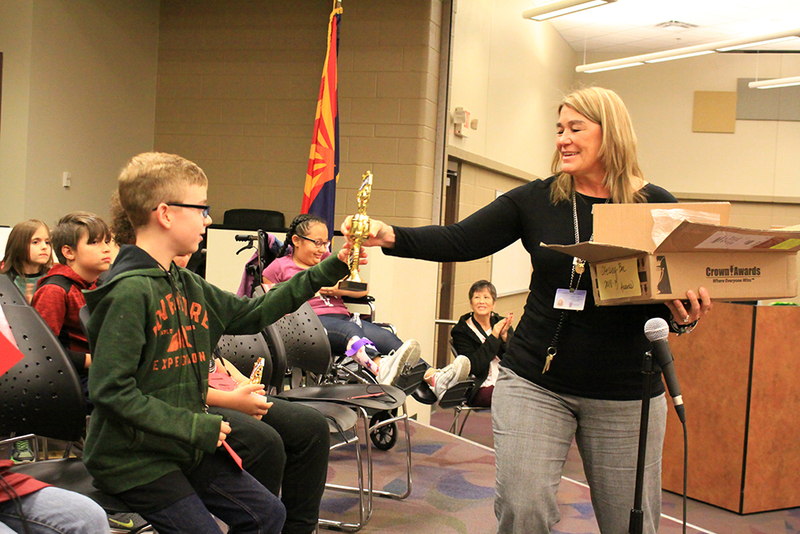 The Desert Wind Middle School Rubik’s Cube Club competed at ASU-West on Saturday as part of the 2016 Arizona Sci-Tech month of festivities. DWMS competed against 31 other schools in team and solo competitions. For the team competition, teams of eight students try for the best time to solve 25 cubes. 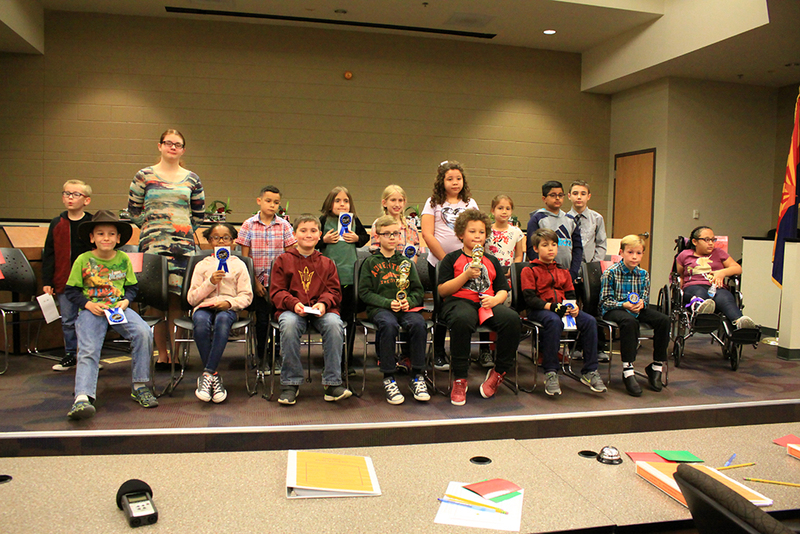 DWMS had only seven students, and they solved all 25 cubes in 6 minutes and 11 seconds. “Although this was the fastest time our students have ever completed this task, it was not quite good enough to get into the finals,” advisor Shannon Hull said. 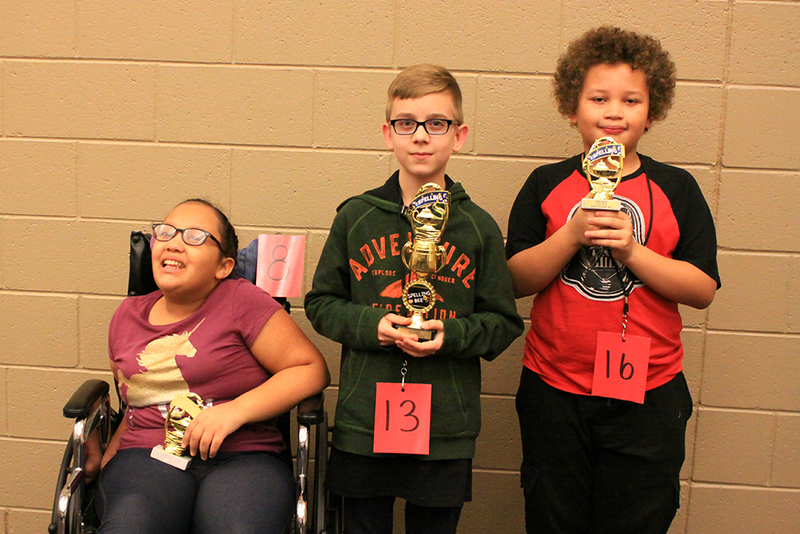 Three DWMS students chose to compete in the solo competition. 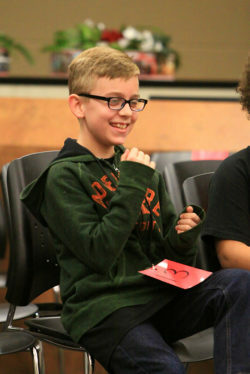 Seventh grader Jarom Hoopes solved his in 48 seconds. Seventh grader Shilin Cardenas solved it in 1:40. Eighth grader Shane Sexton completed his cube in 2:15. 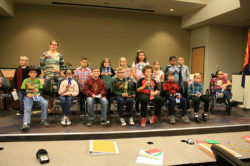 The Rubik’s Cube Club is part of our 21st Century After School Program at Desert Wind. 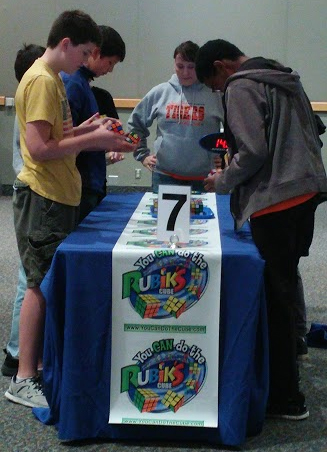 The event at ASU-West was DWMS Rubik’s Cube Club’s first competition. Hull said it was a learning experience and gave the students new strategies. “The Tigers are now even more excited for more competitions that we can compete in and keep improving our times,” she said. Members of the MHS football team were honored at a meeting of the school board Wednesday for being named All-Section : (from left) front - Jackson Stensgard, Isaiah Pedro, Claytin Valenzuela, Nikolai White and Coach Chris McDonald; back - Nicholas Carbajal, Andrew Earle, Eanis Olmos, Dakota Halverson and Aaron Owens. Not pictured: Johnny Johnson Jr., Johnny Smith Jr. Austin Troyer and David Owens. 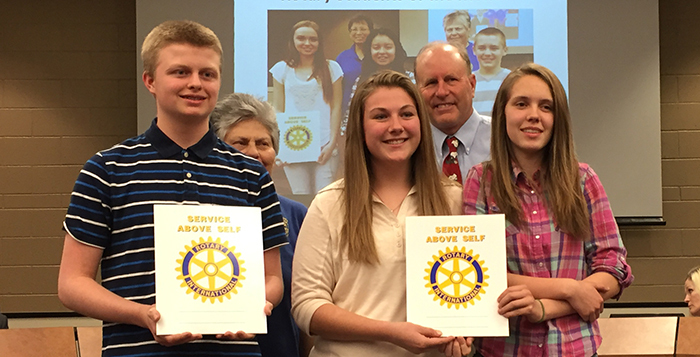 The Maricopa Unified School District Governing Board honored members of the Maricopa High School football team who earned All-Section honors for the 2015 season, as well as the December Rotary Students of the Month. In total, 11 members of the MHS football team were voted All-Section. Eight of the players were able to come to the meeting Wednesday night, and the Governing Board awarded them with a certificate of recognition. 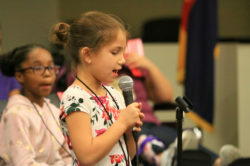 The board also heard presentation from Saddleback Elementary School and Desert Wind Middle School regarding their academic progress throughout the school year. 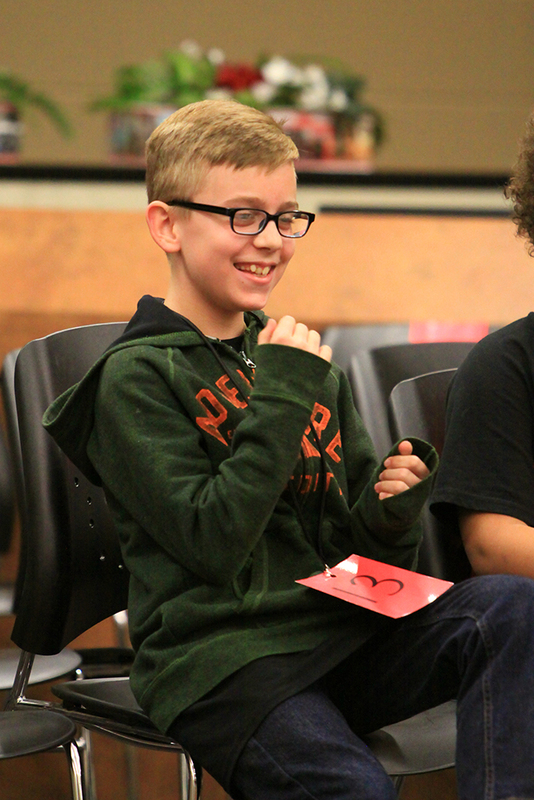 Saddleback has been hosting a grant-funded after-school program for the last two years. They have been able to bring over 120 students in that time and have three more years of grant funding left. Desert Wind has been instituting a blended learning program focused on science, technology, engineering, art and math (STEAM). Students in the blended learning program recently competed in the “Future Cities” competition, and a team from DWMS placed fourth in the state. The board also made some adjustments to the wording for their evaluations and will vote to approve the new script at a later meeting. There was some controversy over the board’s decision to adjust the 2016-17 school year schedule. See related story.